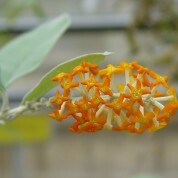 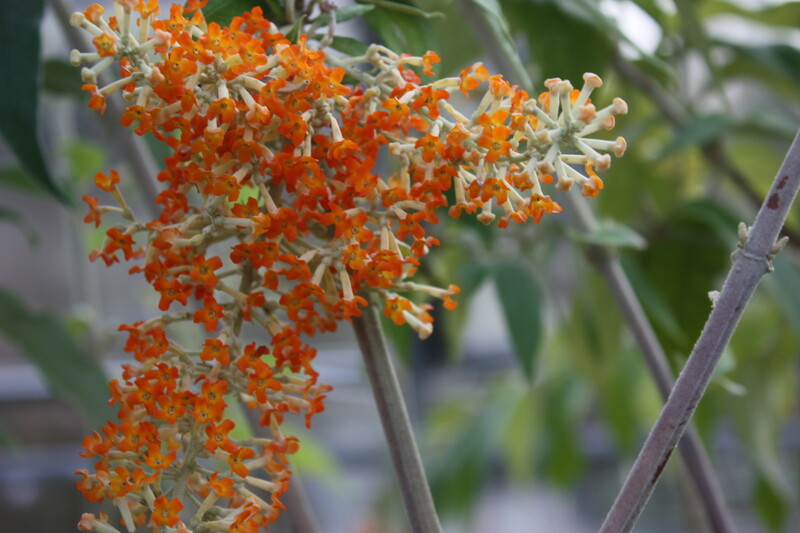 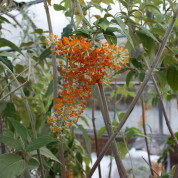 Buddleja madagascariensis is a loose lax growing semi-evergreen shrub with green leaves covered in fine white hairs. 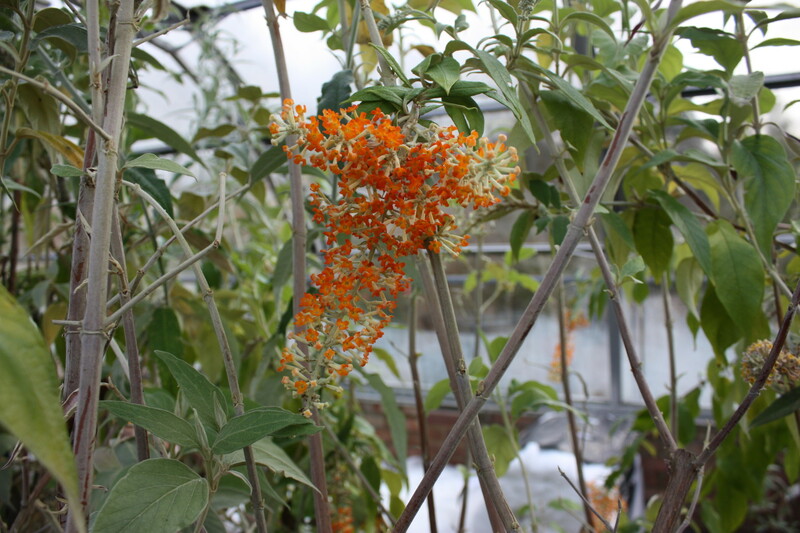 Not hardy in a UK winter, this plant is best grown in a glasshouse, conservatory or against a warm wall where it can be protected. 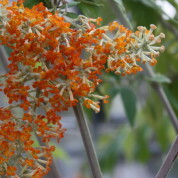 Described and named by the French naturalist Jean-Baptiste Pierre Antoine de Monet, Chevalier de Lamarck in 1785, it was introduced into cultivation in 1827. 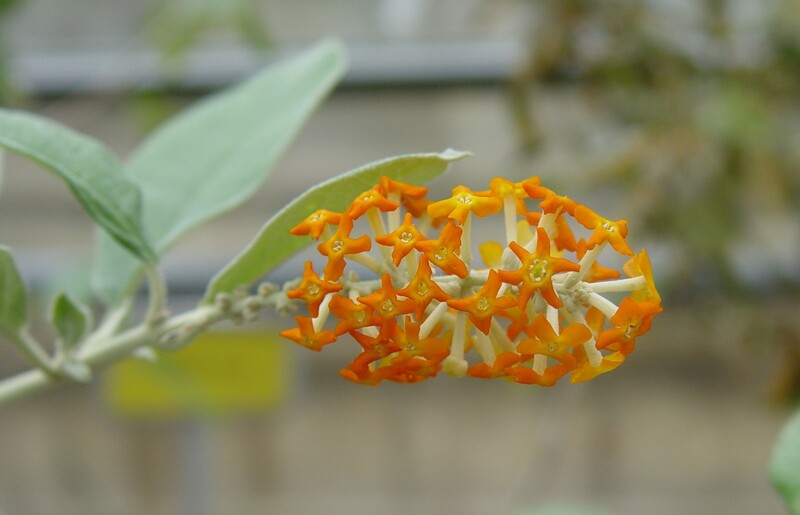 The species is endemic to the island of Madagascar where it grows among scrub on mountains at altitudes of 600-200m.